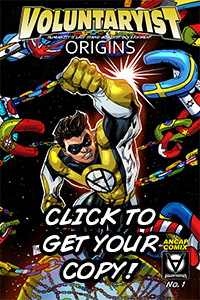 I am excited to announce that we have completed our Voluntaryist Origins Indiegogo comic campaign! 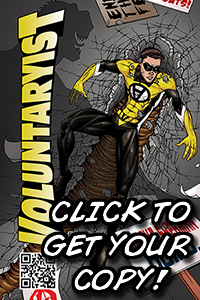 While we did not reach our lofty backing goal, we did reach AMAZING heights with this campaign that make Voluntaryist Origins the MOST SUCCESSFUL CAMPAIGN EVER. Hit the No. 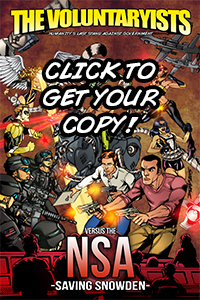 1 spot on Indiegogo comics! Reached over 5,200 fans on our Facebook! Reached 97 backers – BEATING ALL PREVIOUS RECORDS! Raised over $3,600 – OUR HIGHEST-FUNDED CAMPAIGN OF ALL TIME! Because of this, I can tell you that not only will this comic be the longest in our production history, but it will be the first full industry-standard comic book we have completed in one shot. 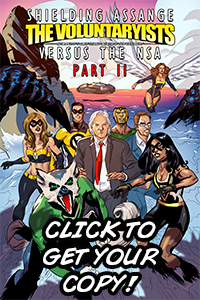 The Voluntaryist Origins story will be released as a “Part 1” with Part 2 to be worked on soon. Thank you so much again for your generous time in sharing the campaign and contributing support! You’re the reason why the next evolution in culture and liberty is taking place. I promise to you as I have with each campaigns’ backers to make this issue the best one yet. I will be giving the production process my utmost attention and taking the feedback I have received over the years to ensure that every aspect of this comic is artful and articulate. The comic production process will begin after the funding is released from Indiegogo in about two weeks. I will be working with our production team to set the storyboarding for the primary penciling artist. The drawing and revision process will take 6-8 weeks with a coloring and lettering process of another 6-8 weeks afterward. As per the campaign timeline, I will begin fulfilling those who ordered solely non-comic perks first in the coming weeks. Those who ordered print comics alone or with other items will receive their comic bundle once the production process is complete. Please check back at those sites if you want to get some sneak peeks over the next few months. If you will be moving in the coming months, please make sure to send us an updated address to mr.voluntary[at]gmail.com We will send a reminder e-mail before we ship major comic perks as well. I’m still stunned at how well this campaign performed. 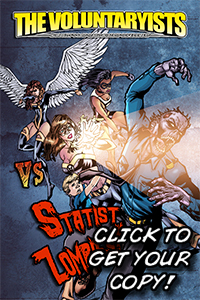 I think 2017 might just be the beginnings of some greater strides toward more Voluntaryist virtues!